a decision to redepoly the entire market share of packaging for the dairy industry including production machinery and equipment to a new site. 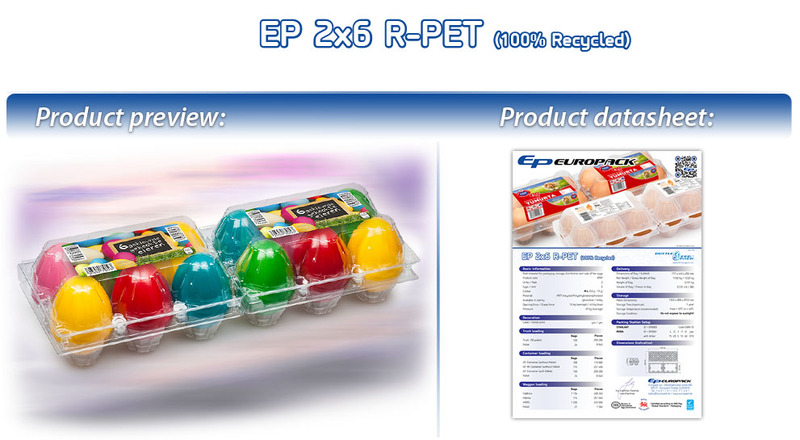 The generated funds were invested to make the development of the site to become largest manufacturing company in Europe for plastic egg packaging. Total installed capacity currently stands at 500 million units per year. Production takes place in a three-shift operation with in-line production. Today exports total 95%. Every egg pack is certified and produced on a very high level of quality. During 1990’s the company secured distribution of products through trading foreign companies, over time market conditions shaped the future for Europack. Market forces pressured Europack to remain fit for survial in difficult conditions. The organisation changed in 2010 with a new aim to improve the communication between customers and the manufacturer, this determined that Europack invested to build and establish fully operational inhouse departments by February 2011 for sales and technical service. Our goal is to supply egg pack to every country in the world.